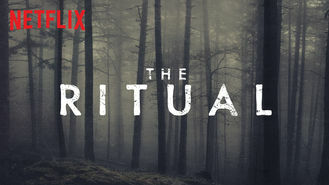 The Ritual (2018) on Netflix Sweden. Check worldwide Netflix availability! If The Ritual isn't available in your country, or you are visiting a country where it isn't, there is still a way to watch it! Four friends with a long-standing -- but strained -- connection take a hiking trip into the Swedish wilderness, from which they may never return. They can't agree who's to blame, but they do see eye to eye on this: They shouldn't have come out here in the first place.